The great 1964 Alaska Earthquake occurred on Good Friday, March 27, 2964 in the late afternoon. It was the largest earthquake ever recorded in North America. The epicenter was six miles (10 kilometers) east of College Fiord in the Prince William Sound. The late afternoon quake spared many lives because schools were closed and many people had gone home because it was Good Friday. The area where the earthquake occurred is a subduction zone where the Pacific Plate is subducting beneath the North American Plate. The crust of southern Alaska was compressed and warped due to plate movement prior to the great earthquake after the plates locked together. 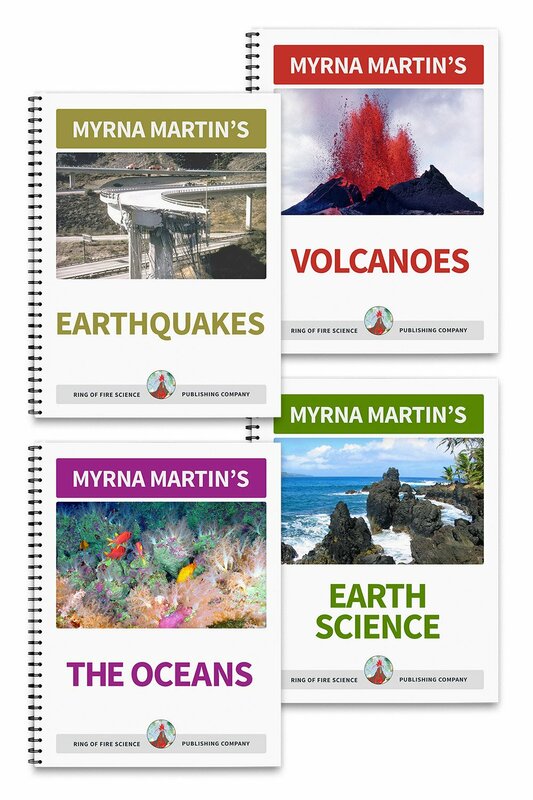 The Pacific Plate moved underneath the North American Plate an average of 27 feet (9 meters) during the earthquake. Parts of Montague Island were uplifted twelve to thirty-six feet ( 4-9 meters). The land around the town of Portage subsided approximately 9 feet (3 meters). 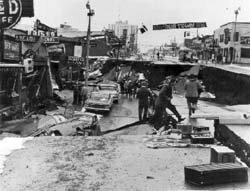 Ninety percent of the people that died in the 1964 Alaska earthquake were killed by tsunamis. There were two types of waves generated during the earthquake. The main tsunami that swept across the Pacific Ocean. It killed people in Hawaii when the waves came ashore. It was generated by movement on the ocean floor. Local tsunamis were generated by landslides crashing into bays and fjords. A large landslide triggered a tsunami in Shoup Bay near Valdez. The wave in the inlet that reached a height of 200 feet (67 meters). In Seward, a section of the waterfront slid into Resurrection Bay causing an oil fire as it was floating offshore. All the casualties in Seward were caused by tsunami. A huge landslide in downtown anchorage caused the main business district to drop down nine feet (3 meters). Two hundred acres of land slid into the ocean at Turnagain Heights. The residential area of Anchorage suffered total destruction when the bluffs collapsed. A crevasse ripped apart an elementary school that was closed for the day. The Anchorage International Airport tower collapsed during the earthquake.